» For more adventures, turn to 2017. As the sun sets across the peak of Firetop Mountain and readers finally discover why The Sun Went Out, we at Tin Man Towers can look back on an amazing 2016 and look forward to following some interesting new paths in 2017! 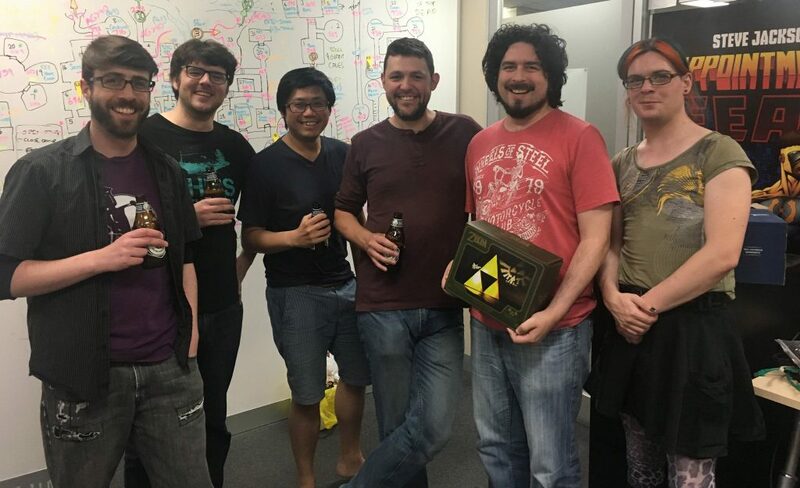 Ben Kosmina (with Triforce) moved on to pastures new in December after three and a half amazing years at TMG. Sadly we said goodbye to Kamina and Ben this year, who gathered their backpacks, stocked their provisions and ventured forth on to new quests. We will miss them both but look forward to hearing about their legendary adventures, building Mountains and becoming Mighty heroes! We were also blessed this year as we were able to work with some wonderful new Tin Minions – artists, writers, musicians, programmers and more. We couldn’t make the games in the ways that we want to without their unique talents, so we thank them all and hopefully look forward to working with them again in the future. We also have some new minions sharpening their blades to join us in 2017 for new adventures, which we’re all very excited about. So what quests will we very venturing on next? Zagor will be continuing to assert his evil influence in The Warlock of Firetop Mountain with two new downloadable updates for PC, Mac and Linux, that will see new adventurers enter the fray, following new quests and unlocking new, as-yet unexplored parts of the mountain. We will also bringing the mountain to new digital platforms in 2017, so new adventurers can take up the challenge. We’ve already announced that the game will be coming to iPhone and iPad (and looking great), but if you’re not an iOS user you can console yourself that it may be appearing on some other platforms too! 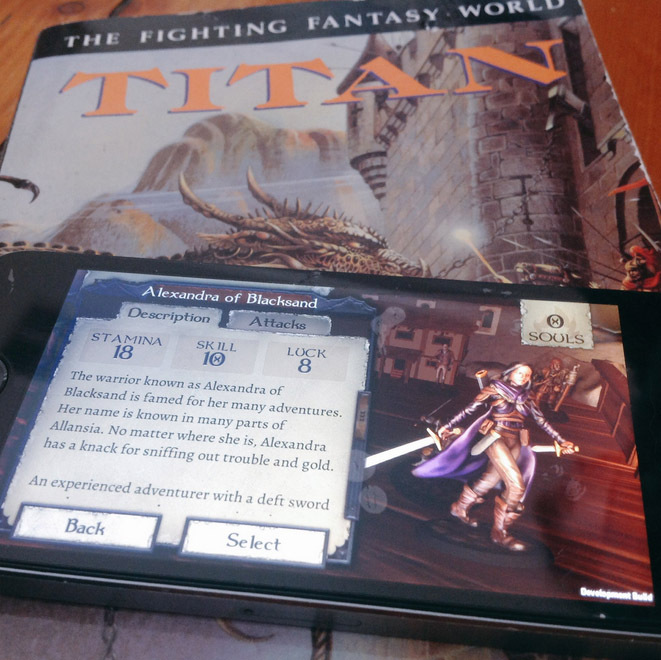 An early development build of The Warlock of Firetop Mountain running on an iPhone! Bravo. Simply Amazing. Thank You Thank you so much Tin Man Games. “And The Sun Went Out” is THE best interactive novel I have read. The characters, the emotional bond with them is phenomenal. The plot is really nice and the execution was well kept. I would like for you to make another story, with an interesting plotline and a kickass character like Moti! Thank you again! Keep up the great work. Amazing journey I just finished ‘and the sun went out’ and I’m crying. What an amazing journey! I can’t wait to start over and try other choices! And The Sun Went Out is by far our largest text-choice-based adventure game, coming in at over 600,000 words. The writing and editing team have done an incredible job designing the multiple story paths and plots to create an absorbing interactive story that we hope will become a major landmark in interactive fiction. We hope to lift Moti from iOS and Android next year and bring it to desktop computers too! We also have plans to start a third story in early 2017, with a fourth arriving to the app later in the year. If you’re a fan of Choices, there’s a lot to stick around for! You can purchase subscriptions on iOS, or story passes/choice tokens on Android. 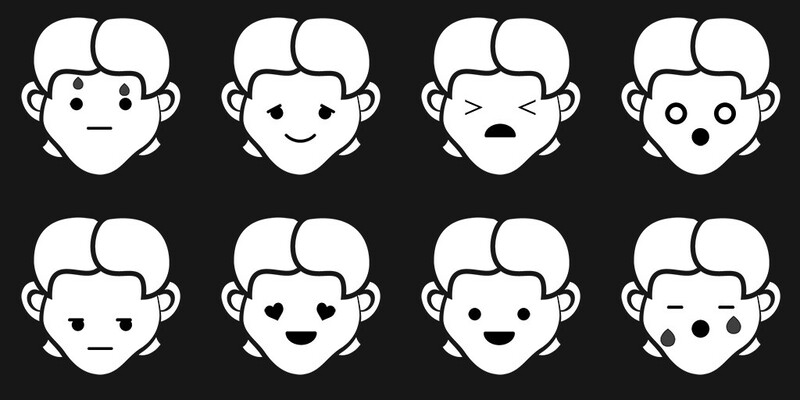 The many faces of Moti, your AI companion in And The Sun Went Out. 2017 will also see the debut of a new style of Tin Man Games adventure in the form of a visual novel! If you’ve ever loved games like Phoenix Wright: Ace Attorney, then you may want to cast a glance at our upcoming game, Miss Fisher and the Deathly Maze. Playing the venerable Phryne Fisher in 1920s Melbourne, you must investigate a number of key murders across a number of episodes, which culminate in a larger series narrative arc. 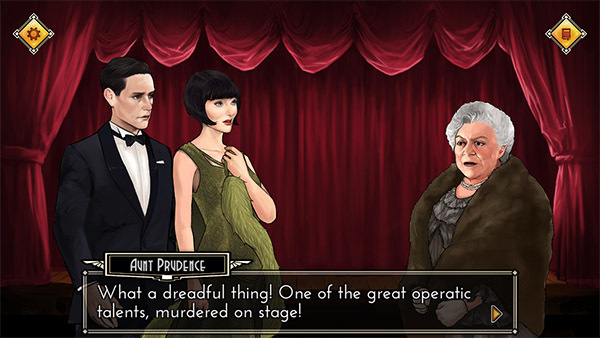 The game is based on the TV show, Miss Fisher’s Murder Mysteries (that is also based on a series of novels), which ran for 3 seasons (available on Netflix and various TV networks) and soon to be turned into movies. The decision to move Miss Fisher into visual novels was simple – the outfits! The TV show has always boasted great fashions as well as beautiful art deco inspired backdrops, so it made sense to make the adventure game more visual. We want fans of the books and the show to feel like they are inhabiting Phryne’s world and simply put, we also wanted to make a really gorgeous looking visual novel! We’re confident that the marriage of the two will please both demographics and we hope that this series will be the first of many journeys into this genre of game. Phryne and Jack need to get to the bottom of another ghastly murder! And finally, we have another couple of announcements for 2017 that we sadly cannot talk about too much just yet. What we can say is that one of the projects will be very familiar to those long-time TMG fans that have followed this blog over the years. While we haven’t always come through to develop all of the projects that we have promised (for a variety of business reasons), the ones that do fall by the wayside do not end up there because we don’t love them. In most cases, we’re really disappointed not to work on them. So if the opportunity arises where it we can pick them up again, then we will with gusto. This is one of those! The other project is quite frankly, huge. It’s so big in fact that we’ve already been working hard on it for a number of months and have teamed up with another Melbourne based dev team to bring about its creation. It started off as a crazy idea, which was then pitched to a number of interested parties, and subsequently picked up by one of those parties. Speed forward a few months and we’re knee-deep in something rather grand and very exciting that not only changes our adventure path but places us in a whole new reality! We’ll reveal more news as and when we can. We just want to say goodbye to one of our digital gamebooks that we hold dear to our hearts. 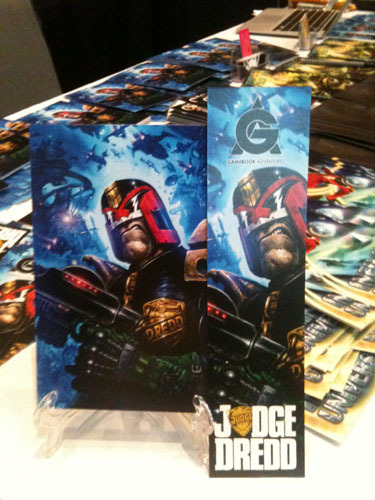 Sadly we will be removing Judge Dredd: Countdown Sector 106 from sale in the next few weeks. The license has expired and the licensors have chosen not to renew. So, if you want to journey into Mega-City One as the fearsome Dredd, then grab it now before it’s too late. It’s currently available to buy at a greatly reduced price on Google Play, App Store and Steam (along with lots of other TMG games). Neil is also currently tweeting some of the lovely illustrations from the gamebook on his twitter using the hastag #ByeDredd106. HAPPY NEW YEAR from all of us @ Tin Man Games!